1.1 Thank you for visiting the https://www.chatime.com.au website (the “Website”). 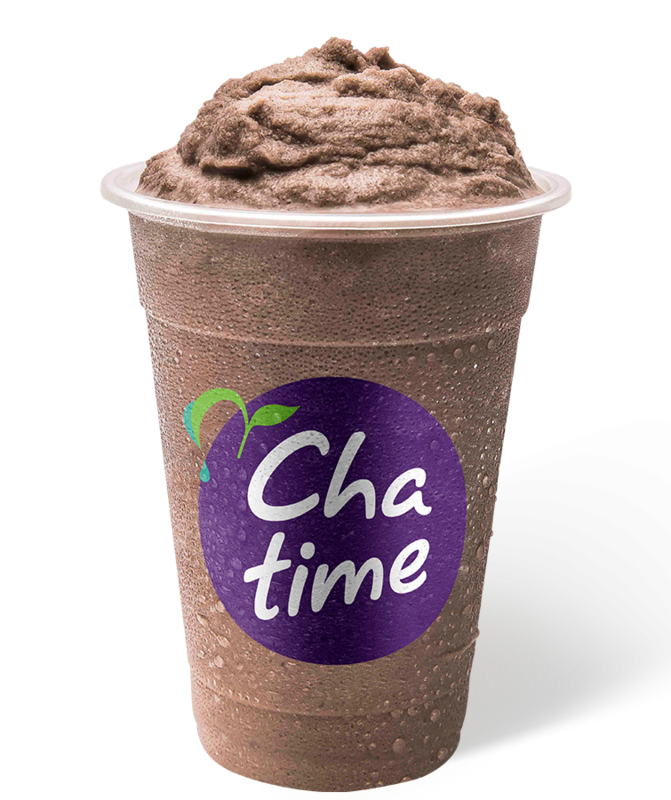 Infinite Plus Pty Ltd trading as Chatime Australia (ABN 60 136 677 453) and its related bodies and each of its independently owned franchisees (“Chatime Franchisees”) (collectively referred to as “Chatime”, “we”, “us” or “our”) recognise the importance of protecting the privacy and the rights of individuals in relation to their personal information and are committed to protecting the privacy of personal information in accordance with Australian privacy laws. 1.3 We respect your rights to privacy under the Privacy Act 1988 (Cth) (Act) and we comply with all of the Act’s requirements in respect of the collection, management and disclosure of your personal information. 2.2 If the information we collect personally identifies you, or you are reasonably identifiable from it, the information will be considered personal information. 3. WHAT PERSONAL INFORMATION DO WE COLLECT AND HOW IS IT COLLECTED? 3.1 We will only collect personal information from you that we reasonably require for one or more of our business functions or activities and will do so by lawful and fair means. 3.2.6 Any additional information relating to you that you provide to us directly through your access and use of our Website or indirectly through use of our Websites, mobile applications or online presence, through our representatives or otherwise. 3.3 We may also collect some information that is not personal information because it does not identify you or anyone else. For example, we may collect anonymous answers to surveys or aggregated information about how users use our Website. 3.4 With the exception of when you apply for a position with Chatime or apply to become a Chatime Franchisee, we will not collect sensitive information about you (which includes information about your racial or ethnic groups or political or religious beliefs) unless you have specifically consented to such collection or the collection is required by law. 4.3 On their own, cookies or web beacons do not contain or reveal any personal information. However, if you choose to provide us with personal information, it can be linked to the anonymous data stored in the cookies and/or web beacons. 5.3 we may be unable to tailor the content of our websites to your preferences and your experience of our Website may not be as enjoyable or useful. We collect personal information about you so that we can perform our business activities and functions and provide the best possible quality of customer service. 6.9 Facilitating our internal business operations, including fulfilment of any legal, security, and regulatory requirements. We may also use your personal information for other purposes not listed above which will be made clear to you at the time we collect your personal information, or for such other purposes as may be required or permitted by law. 7.6 Any organisation for any authorised purpose with your express consent; We may combine or share any personal information that we collect from you with information collected by any of our related bodies corporate (within Australia). 8.1 We may send you direct marketing communications and information about our own products and services and on behalf of other companies within Chatime that we consider may be of interest to you. These communications may be sent in various forms, including mail, SMS, fax and email in accordance with applicable marketing laws. You consent to us sending you those direct marketing communications by any of those methods. 8.2 If you indicate a preference for a method of communication, we will endeavour to use that method whenever practical to do so. In addition, at any time you may opt-out of receiving marketing communications from us by contacting us (see the details below) or by using opt-out facilities provided in the marketing communications and we will ensure that your name is removed from our mailing list. 9.1 Generally, the type of personal information that we collect about applicants is the information included in your application for employment, for example your name, postal address, telephone number, email address, education details, employment history and other information relating to your work experience. 9.2 In considering your application, we may also obtain personal information about you from third parties, for example, from your previous employers or nominated referees. Subject to your consent, we may also collect sensitive information about you such as information about your health (including any disability) or any criminal record you may have. 9.3.3 Storing your information for future employment opportunities. If you do not provide us with the information we request, we will be unable to do one or more of the above. 9.4.5 Law enforcement agencies to verify whether you have a criminal record. If we engage third party contractors to perform services for us which involves handling personal information, we will take reasonable steps to prevent the contractor from using the personal information except for the purpose for which it was supplied. 10.1 Generally, the type of personal information that Infinite Plus Pty Ltd collects about franchise applicants is the information included on the Franchise Application Form for example your name, postal address, telephone number, email address, education details, residency status, employment history, financial capacity and other information relating to your qualifications and experience. Should you application be successful, Infinite Plus Pty Ltd will also obtain further information from you such as your bank account details for the purposes of monthly direct debits. 10.2 In considering your application, Infinite Plus Pty Ltd may also obtain personal information about you from third parties, for example, from your previous employers or nominated referees. Subject to your consent, Infinite Plus Pty Ltd may also collect sensitive information about you such as information about any criminal record you may have or your credit rating. 10.3.3 Storing your information for future franchise opportunities; If you do not provide the information requested, Infinite Plus Pty Ltd will be unable to do one or more of the above. 10.4.3 Law enforcement agencies to verify whether you have a criminal record; or If Infinite Plus Pty Ltd engages third party contractors to perform services for us which involves handling personal information, Infinite Plus Pty Ltd will take reasonable steps to prevent the contractor from using the personal information except for the purpose for which it was supplied. 11.1 You may request access to any personal information we hold about you at any time by contacting us (see the details below). Where we hold information that you are entitled to access, we will try to provide you with suitable means of accessing it (for example by mailing or emailing it to you). We may charge a reasonable administration fee to cover the costs of meeting your request. We will not charge for simply making the request and will not charge for making any corrections to your personal information. 11.2 There may be instances where we cannot grant you access to the personal information we hold. For example, we may need to refuse access if granting access would interfere with the privacy of others or if it would result in a breach of confidentiality. If that happens, we will give you written reasons for any refusal. 11.3 If you believe that personal information we hold about you is incorrect, incomplete or inaccurate, then you may request us to amend it. 11.4 To protect your privacy and security we will take reasonable steps to verify your identity before granting access. 12.2 We request that complaints about breaches of privacy be made in writing so that we can be sure about the details of the complaint. We will attempt to confirm as appropriate and necessary with you your understanding of the conduct relevant to the complaint and what you expect as an outcome. We will inform you whether we will conduct an investigation, the name, title and contact details of the investigating officer and the estimated completion date for the investigation process. 12.3 After we have completed our enquiries, we will contact you, usually in writing to advise the outcome and invite a response to our conclusions about the complaint. If we receive a response from you, we will assess it and advise if we have changed our view. 13.1.2 Other third parties located overseas. Where we share your personal information with such entities, we will do so in compliance with Australian privacy laws and we will take reasonable steps to ensure that the overseas recipients of your personal information do not breach the privacy obligations relating to your personal information. 14.1 Where we store your personal information depends on what interaction you have had with us. Some areas may include databases for processing customer enquiries or feedback, mail exchange servers or email databases for marketing communications. 14.2 We take reasonable steps to ensure that your personal information is protected from misuse and loss and from unauthorised access, modification or disclosure. We may hold your information in either electronic or hard copy form. We only keep your personal information for as long as it is required for the purposes for which it was collected or as otherwise required by law. We will take appropriate measures to destroy or permanently de-identify your personal information if we no longer need to retain it. These measures may vary depending on the type of information concerned, the way it was collected and how it was stored. 14.3 As our Website is linked to the internet and the internet is inherently insecure, we cannot provide any assurance regarding the security of transmission of information you will communicate to us online. We also cannot guarantee that the information you supply will not be intercepted while being transmitted over the internet. Accordingly, any personal Information or other information which you transmit to us online is transmitted at your own risk. 15.1 Our Website may contain links to other Websites operated by third parties which may be of interest to you. We make no representations or warranties in relation to the privacy policies of any third party Website and we are not responsible for the privacy policies or the content of any third party Website. Third party Websites are responsible for informing you about their own privacy practices.